In 2003, the Canberra community was devastated by bushfires. Four people died, a total of 470 homes were destroyed, and 2000 businesses, homes and vehicles were damaged. The insurable loss and subsequent repair bill was more than $450 million. 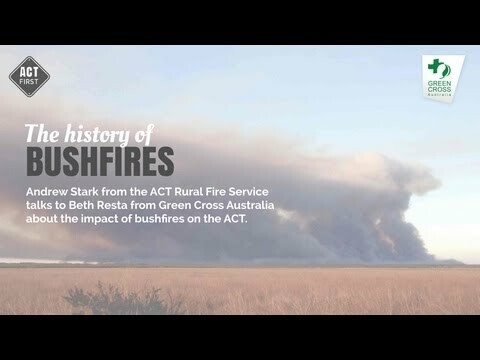 The Canberra bushfires were the second most expensive bushfires in Australian history, second only to the Ash Wednesday bushfires of 1983, which devastated Victorian and South Australian bushland and killed 75 people. Southern Australia’s natural environments are some of the most fire-prone areas in the world. High temperatures and limited summer rainfall produces conditions of very high fire danger, particularly in eucalypt forests. Sudden strong wind changes often hamper efforts to control blazes and threaten the lives of fire fighters. Lightning strikes ignited 160 separate fires, which burned for ten days in the adjoining Kosciuszko National Park, before advancing into Canberra suburbs. Severe drought conditions – low relative humidity and high temperatures that endured – and winds of more than 200kmph led to the severe firestorms. Many people suffering from smoke inhalation and other fire-related illnesses flooded the Canberra Hospital. Due to a blackout, power was cut to the hospital and it was forced to rely on auxiliary power. The authority coordinating the bushfire response, the Emergency Services Bureau, based in Curtin, also came under threat. Parts of the Lower Molonglo Water Quality Control Centre were destroyed by fire. Had fire breached and ignited chemical storage tanks, the release of toxic gases could have required large scale evacuations of the national capital. Canberra suffered not just economic loss but significant social devastation. The deaths of four people in this tight-knit community affected many. Those who lost their homes, loved ones, and livelihoods were affected by depression. Much criticism was unleashed against the emergency services crews responsible for controlling the blaze. Accusations of a lack of preparedness and adequate warning meant that many believed more could have been done to avert disaster. As a result, some emergency workers have also been affected by depression, following the disaster. Regeneration of the vegetation around Canberra has been delayed by continuing drought in the region. Rangers in the national parks fear that native wildlife numbers might never repopulate to previous levels and species native to the district might be lost forever. 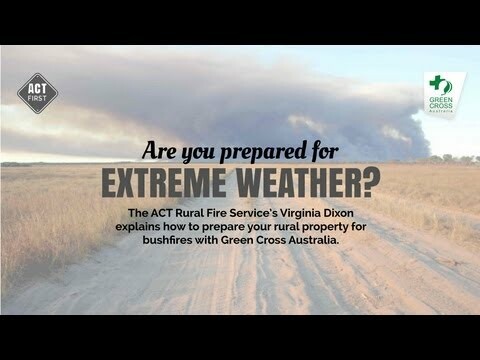 The ACT, NSW and Federal governments initiated a number of community and official responses to the Canberra bushfire. In particular, the McLeod inquiry delivered a number of findings ranging from recommending an increase in the provision of equipment, to an increase in the number and training of fire brigade crews. The importance of community education and timely information provision were also highlighted. Additionally, through the use of a purpose built bushfire wind tunnel, CSIRO is researching the behaviour of bushfires in different climatic conditions in an attempt to improve fire-fighting capabilities and community safety. 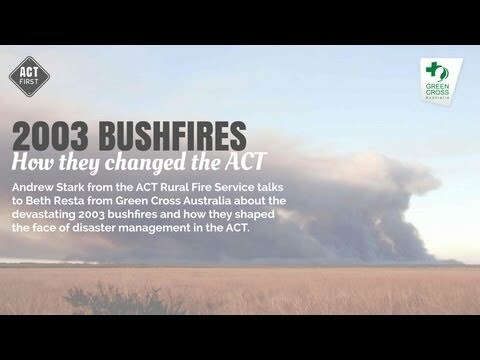 1/4 2003 bushfires Andrew Stark talks about the devastating 2003 bushfire in ACT.